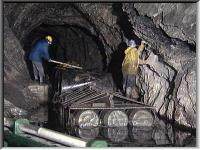 A complete record of the developments in Dudley Tunnel, following the work undertaken by members of the Dudley Canal Trust and Dudley Tunnel Trips Ltd. between February 1988 and September 1989. It brings together 3 former compilations into one DVD. 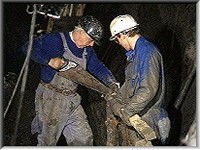 A record of the excavation and raising of a sunken wooden canal boat, inside Dudley Tunnel, by the Dudley Canal Trust and work in the Rock Tunnel during the Spring of 1988. The wooden narrowboat is thought to be the oldest surviving example, and it was still loaded with the final cargo of limestone from the Dudley mines. 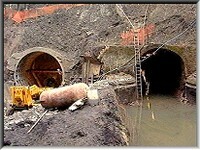 The tunnel was dammed off and drained to allow the boat to be carefully dug out. 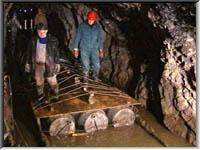 By strapping empty plastic drums to the remains, the relic was able to float when the water was let back in so it could be moved to a safe location to allow development of the tunnel as part of a new show mine. 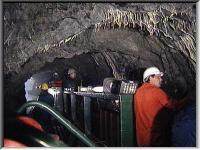 Follows the flooding of the Rock Tunnel, at Dudley in 1988 and the first attempts to float a narrowboat into the tunnel for over 100 years. 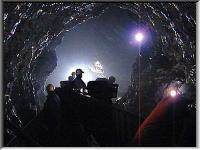 Once the historic remains of the sunken narrowboat were floated to safety, the Dudley Canal Trust and Dudley Tunnel Trips Limited were able to take a steel narrowboat into the Rock tunnel; the first such journey since the limestone mines closed. It was a tight fit, but the experiment was a success and led to the tunnel becoming part of a through route used today by the trip boats which take visitors through the fascinating labyrinth of caverns and canals. 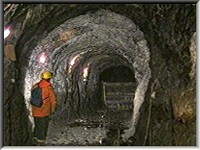 Follows the main stages of work on the 1989 Dudley Tunnel, from January to September '89 during the construction of this new canal tunnel, between Castle Mill Basin and Little Tess Cavern, and the work on the Rock Tunnel between there and Singer Cavern. 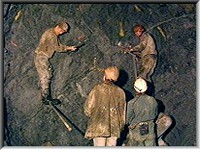 Underground engineering techniques, including rock drilling for roof bolts, shot-creting and blasting the heading are seen in detail. The new excavation allows trip boats to make a 'round trip' through the cavernous limestone mines and the ancient and modern tunnels. Total running Time: 109 mins.